Alden McWilliams’ illustrated tributes to the pioneer fliers of the early days of aviation ran in Flying Aces from 1937 through 1940. The September 1938 installment covered the father of the autogyro—Juan de la Cierva. Born in Spain, his father wanted young Juan to go into politics, but his interests lied elsewhere. It was when he was trying to solve the problem of planes stalling, that he came up with the idea of the autogyro. Sadly, with his death at an early age, for all intents and purposes, the autogyro died with him being replaced by the helicopter. Flying Aces ran Alden McWilliams’ illustrated tributes to the pioneer fliers of the early days of aviation from 1937 through 1940. 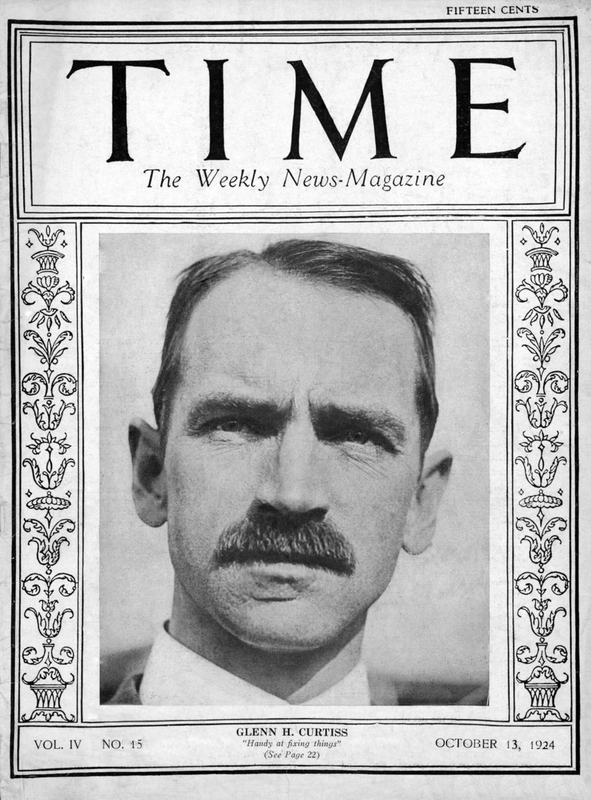 This time McWilliams chronicles the life of Glenn H. Curtiss—the ace of plane makers! Like the Wright Brothers, Curtiss started out in bicycles, but went through motorcycles on his path to building planes. He is perhaps best known for the “Jenny” which the army used as a training plane during WWI. Curtiss was also a pioneer in sea plane development—here Curtiss tests a seaplane glider.